We welcome anyone who wishes to use the social links available in our store and on our products to share! The more you do the better for us ... thank you! For our own volunteer teams who want to make the most out of promoting this store and products, here are some instructions on how to include our store referral code into each Pinterest, Facebook, Twitter and general links. Also below I've included some banner and flash panel code to use on your blogs and websites. How Does the Referral Code Help A-PAL & TCWC? When a customer clicks on our links where we've embedded the referral code, our organizations will earn a 15% referral fee on anything (Zazzle store-wide) that visitor buys in that shopping session. For linking to the PawsPartners storefront URL, just copy and paste the links below which include our referral code. Copy and paste that link. You may certainly share any product using the social icons on the product screen, these however will not have the referral code embedded, but it will help advertise and get people to our store so feel free to use whichever method works for you. 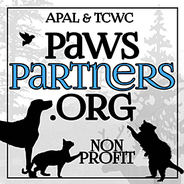 Browse Paws Partners Store at Zazzle to benefit A-PAL and TCWC! 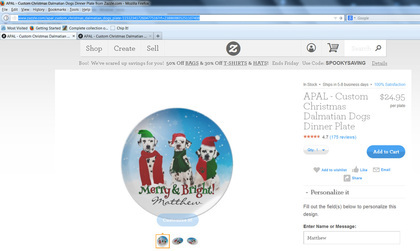 Browse our Paws Partners Store at Zazzle to benefit A-PAL Humane Society! 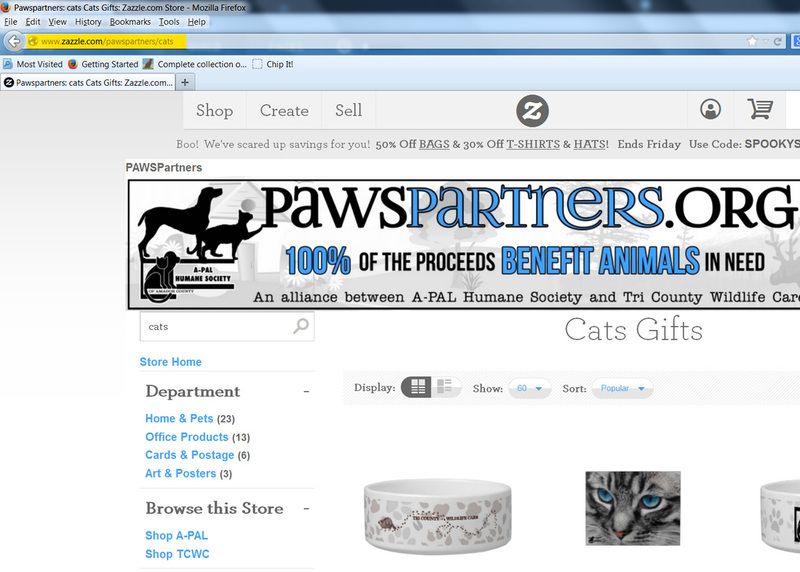 Browse our Paws Partners Store at Zazzle to benefit Tri County Wildlife Care! 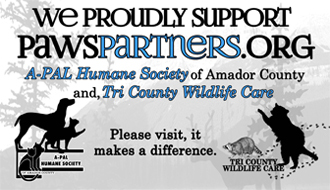 If you have a website or blog and would like to help the A-PAL Humane Society and Tri County Wildlife Care, choose one of our banners. Just copy the HTML code or save the image and link as instructed below ... THANK YOU!